Mayor Pam Parker spoke of her passion for Early Literacy Projects in Logan Schools especially those which help break the cycle of disadvantage. 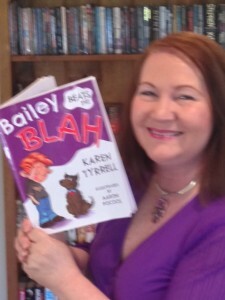 Pam purchased copies of Bailey to hand out to volunteers who go into schools to help children to read. 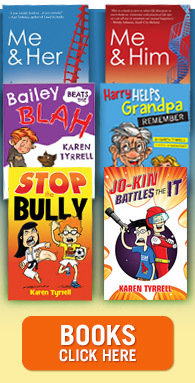 PLUS Bailey books will also go to The Pajama Foundation whose Pajama Angel volunteers will take Bailey Beats the Blah into the homes of foster children to improve their literacy. Bailey Beats the Blah empowers children to cope with sad days and worry thoughts, boosting self esteem and coping skills. 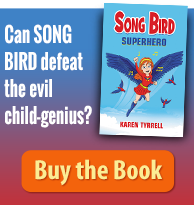 I, Karen Tyrrell, Logan author-teacher of Bailey Beats the Blah, am thrilled my mental health picture book is reaching out to disadvantaged kids in the Logan community. 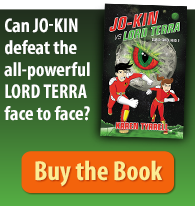 Logan City Council pre-ordered my next children’s chapter book on anti-bullying to help solve this growing problem in schools … out in 2014. Bailey is available in print and eBook from Amazon. 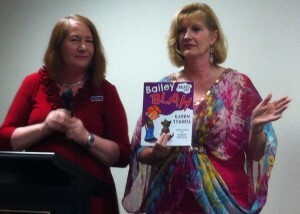 Will you support Bailey Beats the Blah’s message of hope and early intervention? 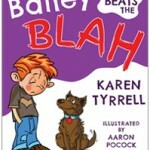 Can you please tell your friends about Bailey Beats the Blah?